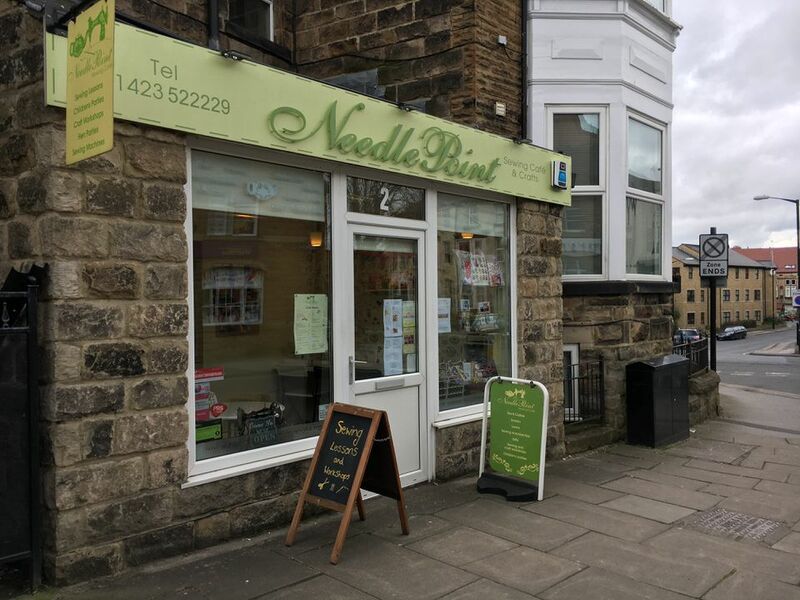 This month I went to visit Caroline Fowler, owner of Needle Point Sewing and Craft Café. 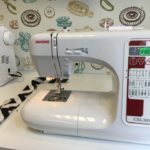 Based opposite Party fever in Harrogate, this independent café and sewing shop is a comfortable and inviting space to learn how to sew. Caroline offers school holiday clubs, sewing lessons, workshops, sewing machine hire, haberdashery, and refreshments. She was so welcoming and put me at ease, as soon as I stepped foot in the shop. Today, I was excited to learn how to make a bag for life – everyone needs a bag for life! If you want to turn it into a hobby, Needle Point also offer weekly workshops to get accustomed to the sewing machine. These classes will teach you decorative techniques such as machine applique and freehand embroidery. 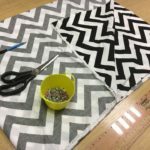 Caroline also run patchwork and quilting classes, beginners dressmaking, crochet, bags, cushions, roman blinds to name a few. I have a basic knowledge of sewing, taught by my mum and grandma but I’ve always wanted to feel confident when approaching the sewing machine. Caroline started by laying everything out and talking me through what we needed to do. Then we were away onto the first step. Caroline’s teaching style is friendly and should you go wrong she was always on hand to help. I’m pretty proud of the finished article. So much so, I’ve been using it ever since. Caroline was fantastic at helping and advising me on how to make a modern bag for life. 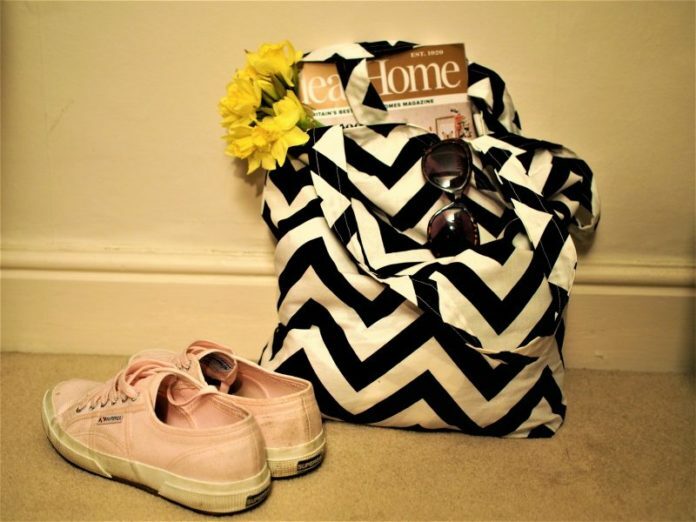 I think I might make another as a beach bag. 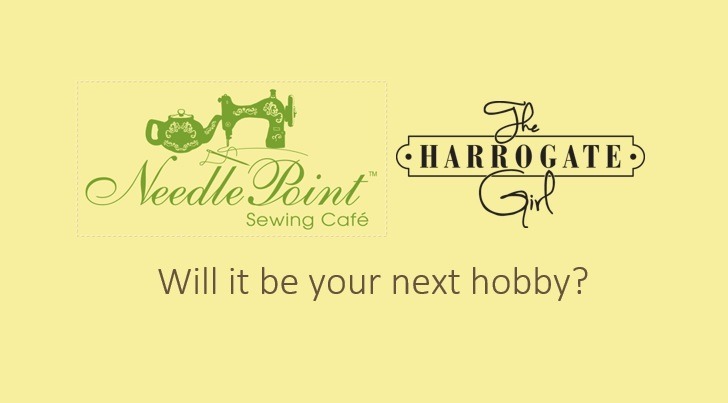 How did Needle Point Sewing and Craft Café begin? As a local girl, Caroline always knew she wanted to stay in Harrogate. 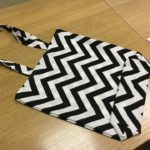 Having graduated from Huddersfield University in Textile Design Caroline’s passion was to set up on her own. Harrogate has some great fabric and craft shops but Caroline soon realised there was nowhere to learn how to sew and it’s certainly not taught at school like it used to be. In 2013, the likes of Pots2Go and Bead set up. There was also resurgence for craft when Kirstie Allsop (my hero) started programmes like Handmade Christmas. Caroline saw a gap in the market and decided to offer sewing classes and it’s grown since then. The Café also provides the perfect venue for parties such as hen dos and children’s birthday parties. The Needle Point is offering a packed calendar of crafty activities to keep the kids entertained this Easter. Each activity is 1 hour 30 minutes and costs just £12.50 per child – a bargin if you ask me! The activity includes all materials, a drink and snack. Find out the full programme of events here. 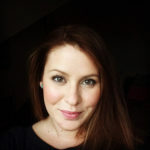 Please help Caroline spread the word of her fantastic business. 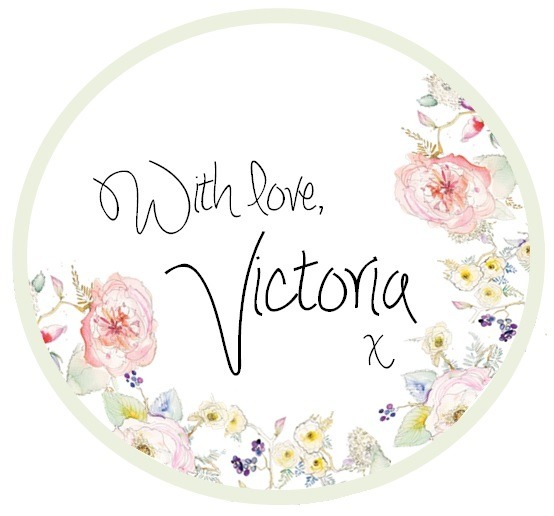 Follow her on Twitter and Facebook or visit the Needle Point Sewing Café website or even pop in and say hi. What’s your top tip for any budding Kirstie Allsop? Don’t be in a rush. There are some techniques you can cut corners with however I recommend my clients to transfer all the pattern markings, tack everything and press as you go. By following these stages you get a better finish. Now a day it is not cheaper to make your own clothes, therefore it is a labour of love and worth doing it properly. What do you love about Harrogate? Harrogate has lots of small independent shops which makes our town different from others. It’s in a beautiful location and everyone is really friendly. Where do you go to get a good cup of tea and a cake? My favourite place to get a lovely cup of tea is Bettys at Harlow Carr as I like to walk from the Valley Gardens and through the Pine Woods. Apart from sewing and anything crafty I enjoy cycling, were so lucky to have such beautiful scenery in the area. Did you enjoy this post? Fancy taking up a different hobby? From glass making to paint balling I have covered (nearly) it all! 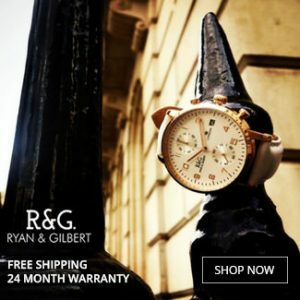 If you have a hobby, you think I might be interested in – let’s collaborate. P.S. This is a collaboration for Needle Point Cafe.